Luxury and elegance is the perfect two words to describe this home at the Villa Jardin. This spacious 3 bed 2 bath corner home overlooking the most mesmerizing English garden and fountains on one side and a beautiful mountain view on the other. This home also features an open floor design with 9' ceilings, marble countertops, stainless steel appliances, engineer hardwood floor and two large balconies. Amenities include a large gym, sauna/steam room, games room, library and theatre! 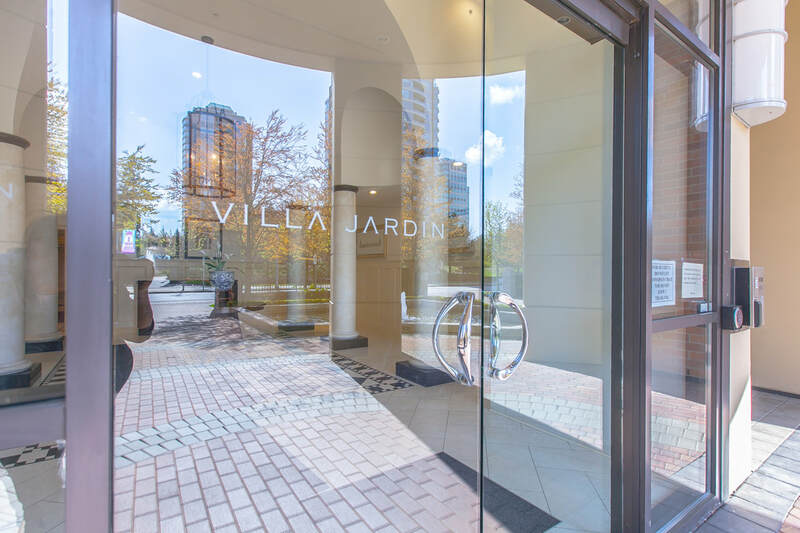 Conveniently located only a 2 minute walk from Edmonds Skytrain Station, Kim's market, Highgate Mall, Taylor Park Elementary & Bryne Creek Secondary and a 5 mins drive to Metrotown. Come have a private tour! Open House April 28 & 29, 2-4pm.